I’d like to feature your book in our June Newsletter. Can you send me a copy of the cover of your book? I can use the text published in Khotso February 2013 if that is appropriate. Hi Greg. I am in the middle of your book and I love so much about it. It transports me back to Lesotho. It’s so honest and true. Anyway, I have been looking for places to express my belief in peace building and came across this site that publishes lists of books written by RPCVs. I thought, Greg should get his book, Mountain Schoo,l on this list. Here’s the url: http://peacecorpsworldwide.org/pcw-imprint/ So, give it a look. Thanks for the transportation back to my second home, Lesotho. Tammy (Lawver)Benabides/ Lerato Lefoka. Education, 2004-2006 Mohale’s Hoek. Thanks so much for your feedback. 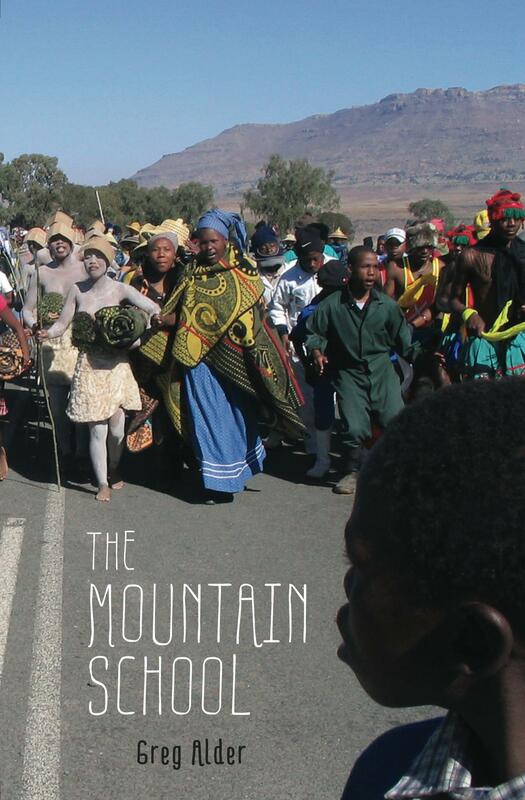 The Mountain School should be showing up on that site’s list soon. I’ll note it on the News page when it does. I finished it and I am now going to donate it to our school library. I also recommended it on the Good Reads website. I truly enjoyed every word. It transported me back to Lesotho. Thanks. I appreciate it, Tammy. And that reminds me . . . about Goodreads. I just read and thoroughly enjoyed your book. It was evocative for me, having spent 2 years in Lesotho in the late 1970s, living among Basotho as an anthropologist. I particularly related to your leave-taking: I too delivered a farewell speech before a ‘pitso’, thanking my neighbors for ‘raising me’, and for allowing me to establish that human connection with them. And I too was presented with gifts afterwards. I remember particularly a young man whom I’d brought to hospital after he’d sustained a serious knife wound. At the time, he’d not thanked me for probably saving his life. But after the farewell pitso, he silently presented me with a gift of cash. It was then that I knew that he had been grateful to me. Unfortunately, I haven’t been back to Lesotho since. (I was about your age when I was there). But I do plan on going back there, this time around as a filmmaker, with the profession I adopted after my ‘stint’ as an anthropologist. If you’re ever in NYC, it would be great to make your acquaintance. I’d love to hear if Lesotho will be continuing in your life beyond this wonderful book you’ve written. I’d love to hear more about your film project idea for Lesotho. Greg, please help! I’m giving a speech about your book The Mountain School to my 9th grade English class, but I can’t find biographical information about you: birthplace, year, childhood info, etc. Anything you can provide would help greatly. Thanks!